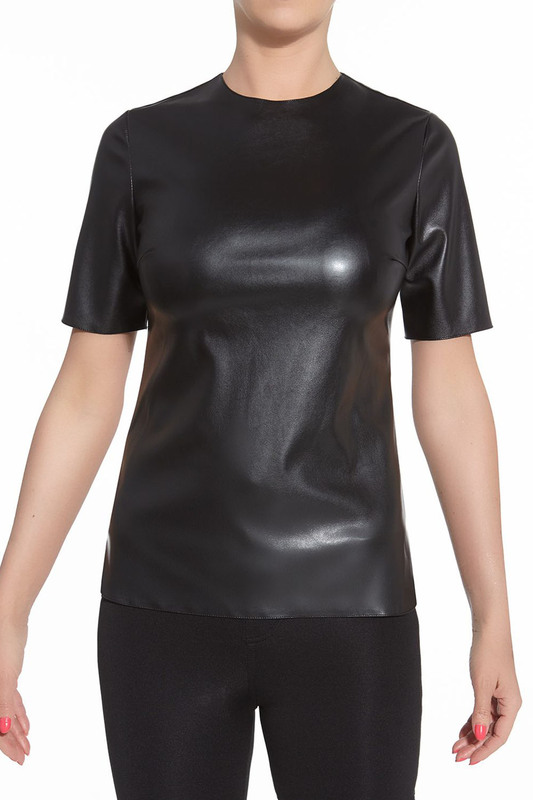 A rather unusual short sleeeve top created entirely from leather-effect fabric. Features crew neckline, back zip closure and delicately split sides. Loose fitting cut for maximum comfort of wear. Composition: 100% polyester.